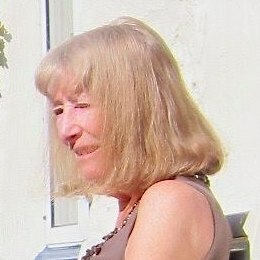 Lynn White lives in north Wales. Her work is influenced by issues of social justice and events, places and people she has known or imagined. She is especially interested in exploring the boundaries of dream, fantasy and reality. Her poem ‘A Rose For Gaza’ was shortlisted for the Theatre Cloud ‘War Poetry for Today’ competition 2014. She has been nominated for a Pushcart and her poems have appeared in many publications including: Apogee, Firewords, Indie Soleil, Light Journal, Snapdragon and So It Goes Journal. Find Lynn at: https://lynnwhitepoetry.blogspot.com and Facebook.